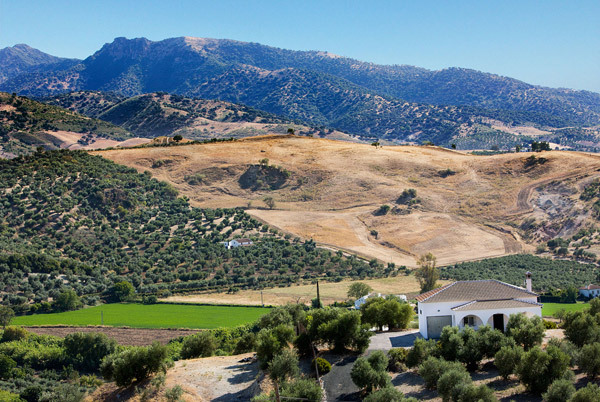 The Cerrito Blanco is situated on the edge of the Sierra de Grazalema National Park, some 5 kilometres from Algodonales and Zahara de la Sierra. It occupies a beautiful Andalusian building perched on top of a hill with magnificent views of the mountains. The typically decorated white washed house opens onto a garden full of trees. 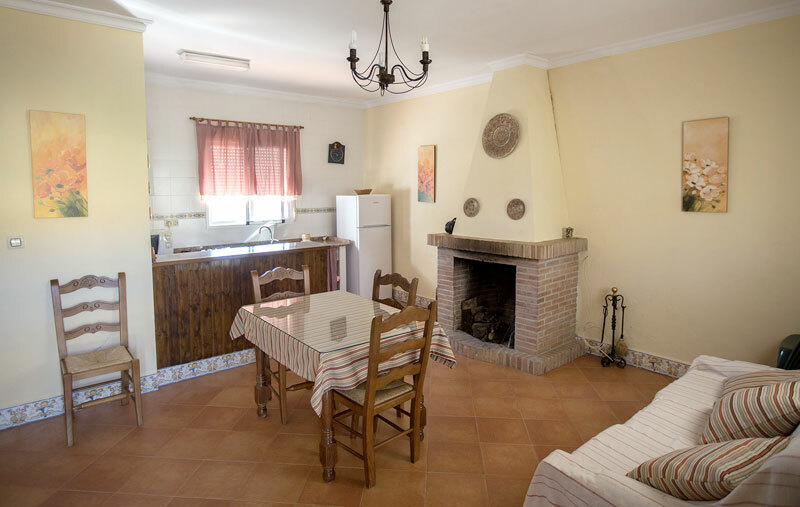 The Cerrito Blanco has two bedrooms, one with a double bed and the other with two single beds, there is also a barbeque area, a living room with an open fire, sofa and TV. The kitchen has a microwave, cooker and dishwasher. 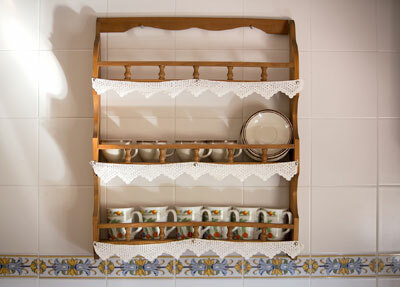 Bedding, towels, kitchen utensils are also available, there is a washing machine and ample parking space. The Cerrito Blanco is some 10 minutes by car from the Zahara de la Sierra, El Gastor and the Sierra de Grazalema Natural Park. It is also some 30 kilometres from Ronda and a little more than an hour from Seville by car.